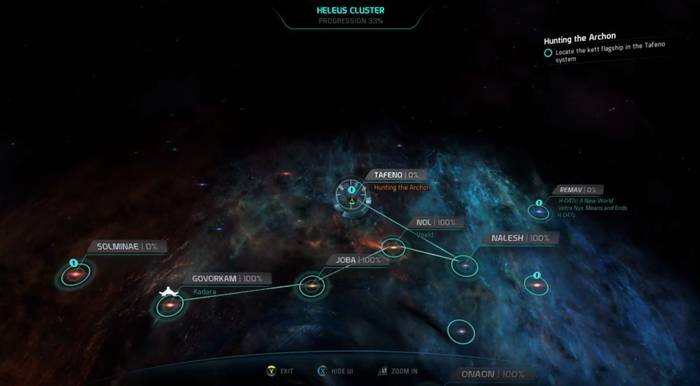 This page contains a full walkthrough for the Main Mission Hunting the Archon, including objectives, dialogue options, enemies and strategy. On the trail of the Archon’s ship, Ryder and the Pathfinder team look for clues and place there bets on a lead in Kadara Port located in the Govorkam System. Upon arriving at Kadara Port, head for the quest marker to the bar called Kralla’s Song. When you get there, wait for the contact at the bar. After speaking to Reyes, head for the Outcast Headquarters indicated by the marker. You’ll then be taken to Kelly by her guards. Afterwards, head back to Reyes and talk to him again. 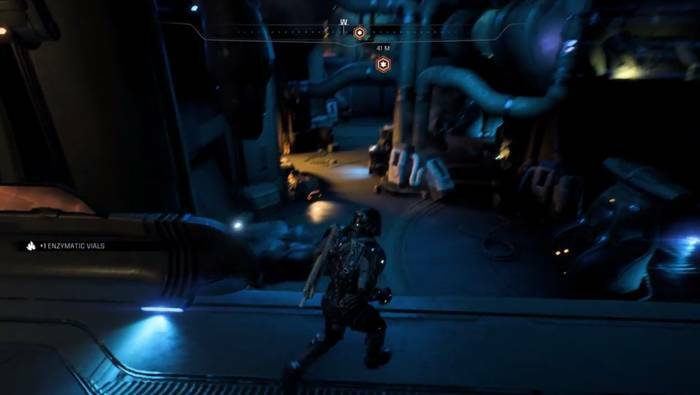 Follow the quest marker and you should come up to some consoles that you need to activate to proceed. You’ll soon come up the back of the holding cells. When you reach Vehn Terev’s cell, talk to him. The Kett Transponder is in hostile territory in the badlands, so prepare to engage some enemies. Head back to the docks and return to the Tempest using the console. 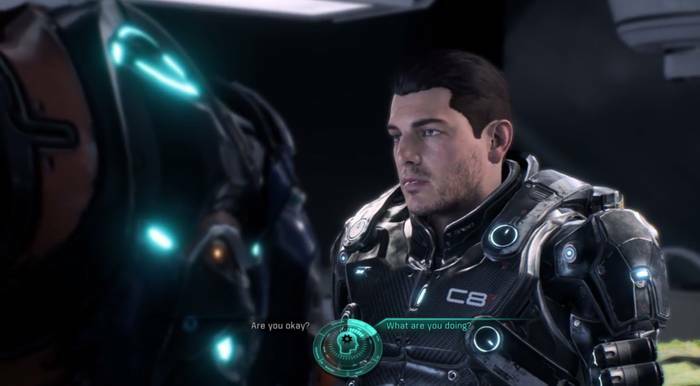 Once on board, Drack will tell the Pathfinder team of a Krogan colony on Elaaden that needs help, while Peebee says that there’s trouble in Remav. 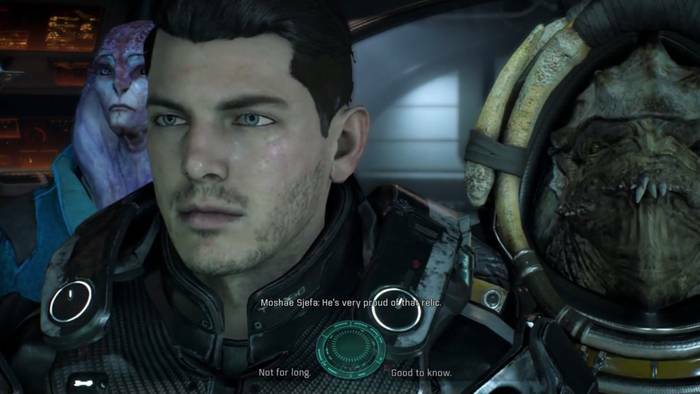 You’ll then need to decide which Priority Mission to take (H-047c: A New World or Elaaden: A New World). You’ll only need to visit the planets which has some side missions that you can do. To proceed the Main Mission again, head to Kadara badlands by using the lift in the port that goes to Kadara’s slums. From there, head for the gate. There will be a Forward Station there that you can use . Get in the Nomad and head for the Transponder’s location by following the quest marker. The Transponder is near an potential outpost location. After obtaining the Transponder, head back to the Nomad and call for the Tempest to take you back. When you show it to Gil, he’ll fix it. Travel to the Tafeno System by selecting Tafeno in the menu. Then, select the Archon’s Flagship. After selecting your loadout, you’ll be spoken to by your squadmates. Moshae Sjefa: He’s very proud of that relic. Text Not for long. Good to know. Outcome TBA Mosahe Sjefa: And I appreciate what you’re doing for all of us. But be careful. I’ve seen the Archon’s cruelty. I hope you don’t. Follow the quest marker to the terminal. You can check out the Datapad (Communications blackout) on the left and read it. Follow the quest marker from here. 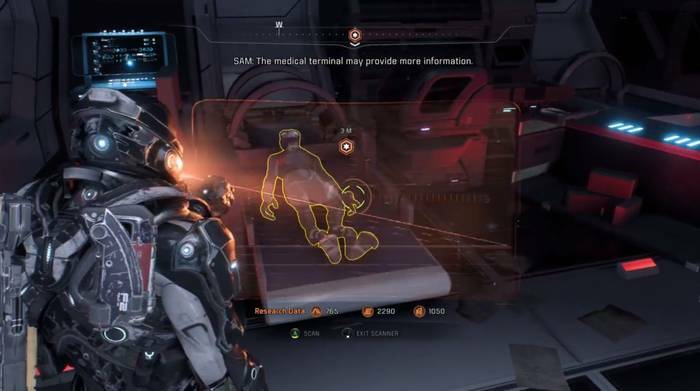 When you get to the medical bay, you’ll come up to some deceased Salarians (you can also scan the equipment here for Research Data). One of them is the one with the quest marker. Head up to him and scan him. After scanning him, use the console. SAM will tell you that the deceased Salarian is identified as Zevin Raeka. You can choose to respond to this with four options. However, Zevin Raeka is female, while the corpse on the bed is male. The quest marker will then point you to the medical terminal. When you use it, SAM will tell you that the dead Salarian is actually Jeks Arlan, a colonist. This means that Zevin Raeka is still alive and was switched with the dead one for fear of the former’s safety. Head towards the next marker. 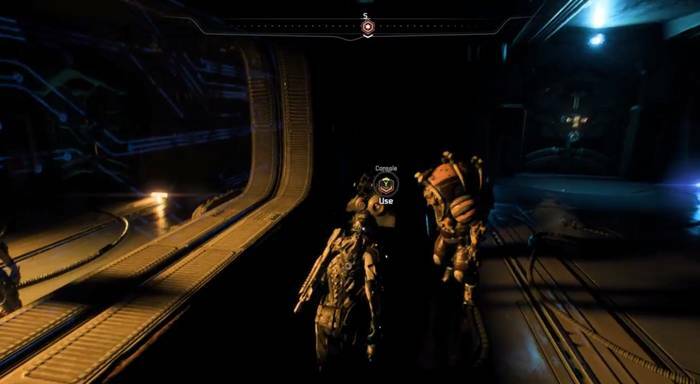 When you enter the next room, note the kett forklift ahead that you can scan for Research Data, and another on the other side once you jump over to the next section. Jeks Aran’s stasis pod (containing Zevin Raeka) will also be in the room, the last one from the left. You can also scan the others for Research Data. 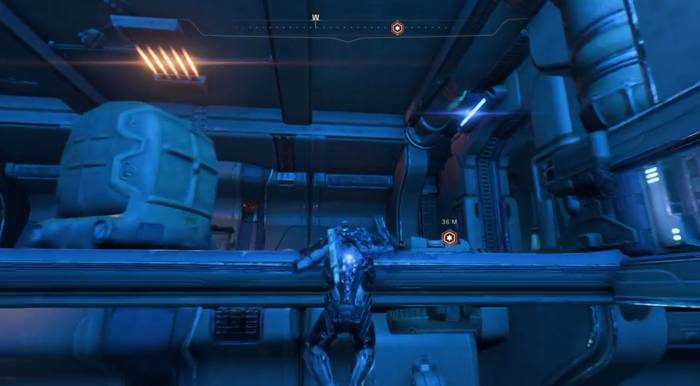 Use the console to revive her, which will trigger a cutscene. When Zevin Raeka comes to, she will head to the terminal. You can ask her some questions. Text Are you okay? What are you doing? Outcome TBA Zevin Raeka: Seeing what I’ve woken up to. Raeka will then suggest a course of action – to work on freeing the ark to help you on your objective. Raeka: That’ll be no trouble. And then I’ll work n freeing the ark, so you can focus on your objective. Text Sounds good. Let us handle it. Another cutscene will ensue. When you gain control again, open the door of to the kett ship. As you come inside, prepare to engage some hostiles (Kett Chosen) on the upper floor. There will also be a Kett Destined so proceed with caution. You’ll have plenty of cover to weave and dodge enemy fire so manage the fight well. Once you’ve taken care of the hostiles, follow the quest marker to the Kett ship’s console. Before interacting with it, open the container on your left for some Kett Sealant. When you operate the console, you can ask a SAM some information regarding the Archon that you need to find. After you’ve used the console, head for the quest marker leading to a group of Salarians near another terminal. Operate the terminal for SAM to open the door to allow the Salarian Pathfinder team to head out. Follow the quest marker again. The next room is actually an armory, where you can loot some kett weapons and weapon upgrades here from the two containers. After that, head for the door. You’ll soon reach the hangar which is guarded by hostiles. Expect to engage some Chosen and Destined there. You can choose to finish them off, or just make your way through the door on the other end. When you reach the next room, head up the upper level. Head to the far left from the ledge of where you came up to find a container with some items. Then, proceed to the next area through the door. To your right will be a Ket scientist who you can kill for an item (he runs fast and may shut himself in a room if you don’t manage to shoot him down). 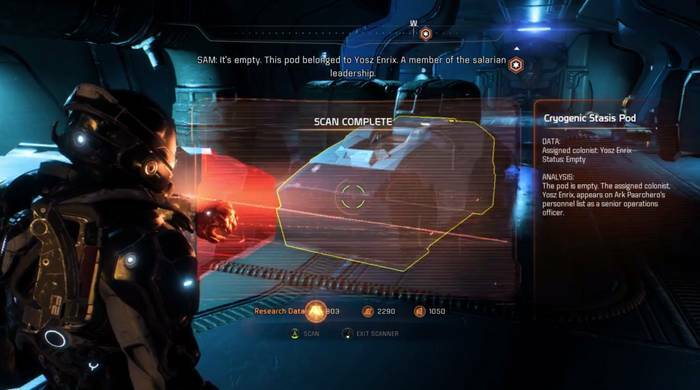 There will be some two Salarian Stasis pods there that you can scan as well. On the opposite side of the door where the scientist shut himself will be another container with items. Afterwards, proceed towards the quest marker again. You’ll arrive at the Gun Battery. Take the time to scan some technology. 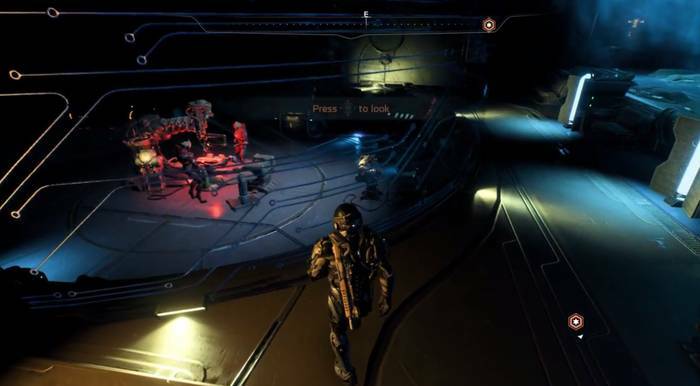 You can use the Hologram near the left side of the room to hear some information on how the Kett ship plans to destroy the Salarian ark with their guns. Just before the door to the next room, check the container for some item. You will be ambushed as you approach the door, so prepare to take cover. The first wave of enemies will have some Chosen, Anointed and Destined. After you’ve taken care of them, the second wave will come. 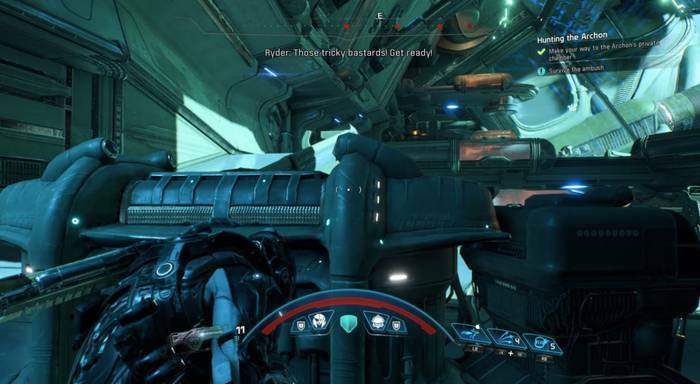 You will be assisted by the Turian Pathfinder team here, but only until you’ve dealt with the second. The final wave will prove the most challenging, as there will be Ascendants among the enemies that come at your squad. Note that you can restore your health and ammo from the containers on the lower area. When you’ve managed to survive the ambush, follow the path to the quest marker again by going up the ramp and to the door. As you enter, head for the container to the right of the door ahead. Afterwards, proceed to the door. There will be a short conversation between your squad and Raeka. Afterwards, Use the console to override the door. You’ll have more conversation with Raeka about the Kett ship’s guns targeted at the Salarian ark. Raeka: I know. They’ll destroy the ark before we can power up the engines. Unless.. Text A miracle happens? Unless what? Outcome TBA Raeka: Venro here used to repair FTL drives on private cruisers. Venro – an EMP device? Afterwards, follow the quest marker again. In then next room, loot the container on the right before going into the door ahead. When you get to the next room, there will be a main control desk just ahead, with the quest marker pointing to the door to the left. Head right first and loot the container there near a closed door. Then, head for the quest marker. Before proceeding through the door, there will be another container that you can on the right. As you approach, it will close. The Kett are now tightening security, but SAM can override the other door to an alternate route. 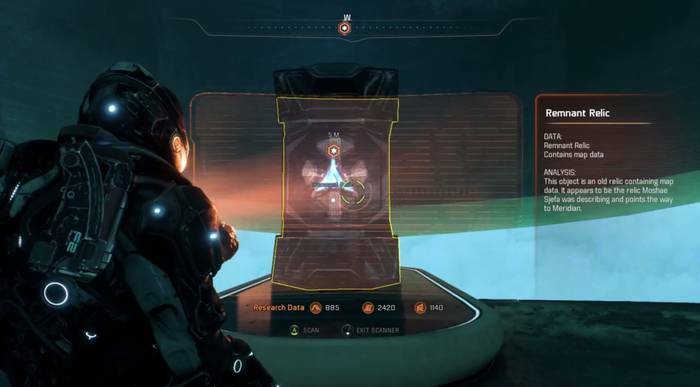 The quest marker will then point to the door on the right that requires you to scan its access panel first. The access panel requires you to speak to the comm link. Choose the option on the right (We’re extra security) to gain access to the door. Once you enter the next room, notice that there will be some Kett scientists scanning a lab specimen on your right. You can try to scan lots of good stuff here for Research Data, including the specimen that the Kett scientists were working on. You can try to operate the terminal that’s holding the specimen (Kaerkyn), then kill it for its loot. 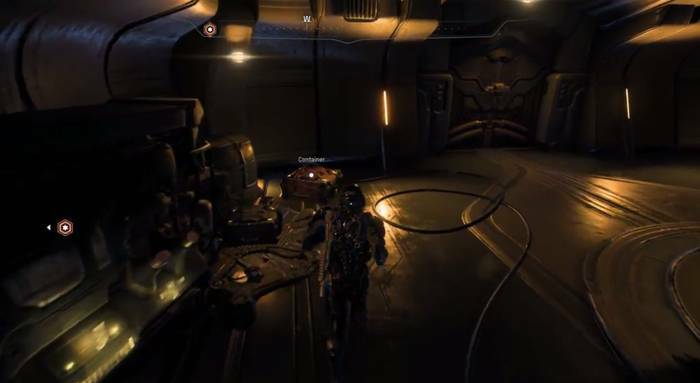 To the far lower right of the room is a big hole where you can jump in to and scan an Exaltation Pod for more Research data. As you head for the door towards the quest marker, prepare to engage some Kett Anointed and Destined once it opens. After taking them out, follow the quest marker again. It should lead you near another hole (with another Exaltation Pod in front of it that you can scan) that you can jump in to. The hole has a container for you to loot some items. Afterwards, head down to the area below. There will be lots of stasis pods (as well as exaltation pods) that you can scan here for Research Data. Afterwards, come up to the upper area again and head for the quest marker. You will arrive at a room with 4 dead Salarians that you can scan. Note that there will also be a datapad (Additional specimen request) nearby that you can read. You can also catch some Kett scientists working in one o the glass-encased rooms. If they see you, they will initiate a shutdown and the light in the experiment room will go out. Head for the quest marker afterwards. Once you enter the next room, you will catch sight of some Kett scientists running away int the corridor ahead. You can shoot them down for items if you want. Note that there will be some Anointed, Chosen and Wraith among them. Once you enter the next door, a cutscene will ensue. You will come face-to-face with the Archon, of which he notes that a human is an unlikely but fitting rival. Archon: An unlikely rival. It was almost invigorating to have one. And yet, it’s a fitting end. Text You’re a monster. You’re overconfident. Feel free to cry. End how? Outcome TBA TBA TBA Archon: Whatever I please. When you regain control, you can explore the area first and scan stuff (such as some dead Salarians and the holding tanks for Research Data). There are also various audio logs there that you can listen to. 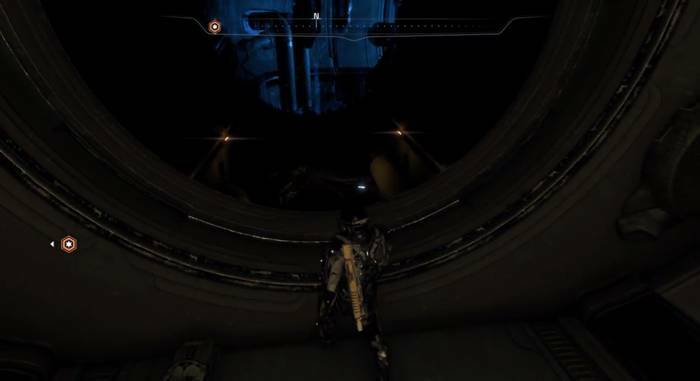 Afterwards, follow the quest marker to the Maintenance Hatch that activates an exit. Once you’ve activated it, head for the door. Follow the quest marker up the maintenance hatch and into the Maintenance Corridor. Drop down and continue towards the marker in the dark passage. 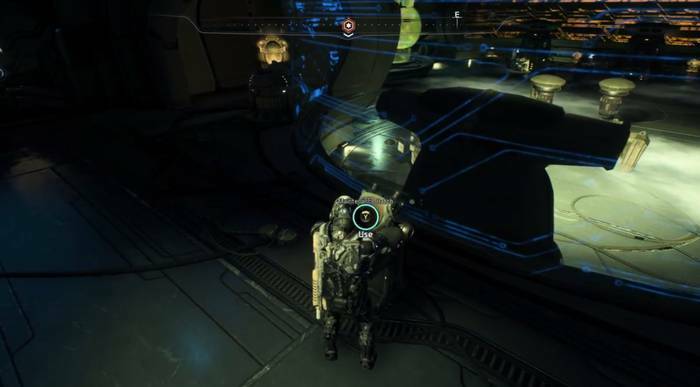 As you come up to what looks like a bridge, you can scan the stasis pods on the right below for some Research Data. As you proceed further along the maintenance passage, you’ll encounter a Wraith. Take it out, then proceed onwards and you should arrive at the Antechamber. Proceed to the door ahead for a cutscene. After you’ve watched the cutscene, move around and scan the floating remnant objects above for research data. The relic is at the very back of the room. When the Exalted Krogan is released, ignore it for a while and take care of the Kett first. 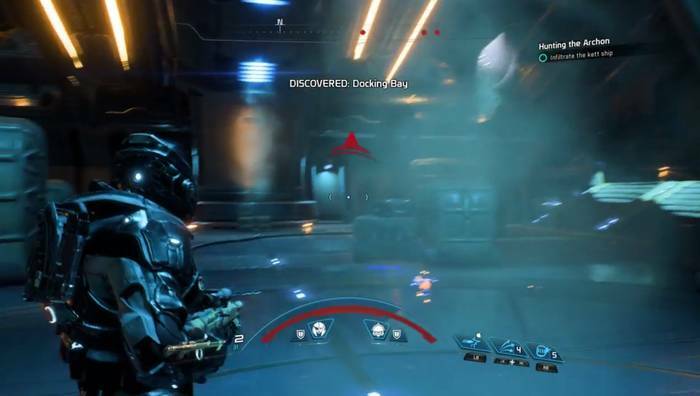 The Krogan’s armor regenerates, so it is best left last on your list. Once you’ve take out the enemies, head for the exit. Watch the cutscene that will ensue. 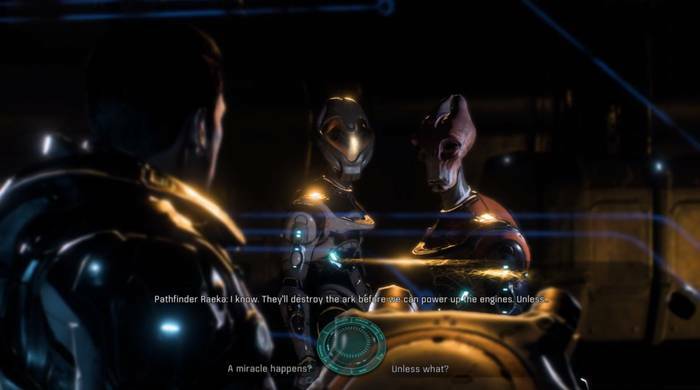 You’ll then need to make a critical decision: Hurry to Raeka’s aid or stay in the ship and help Drack’s scouts get out. 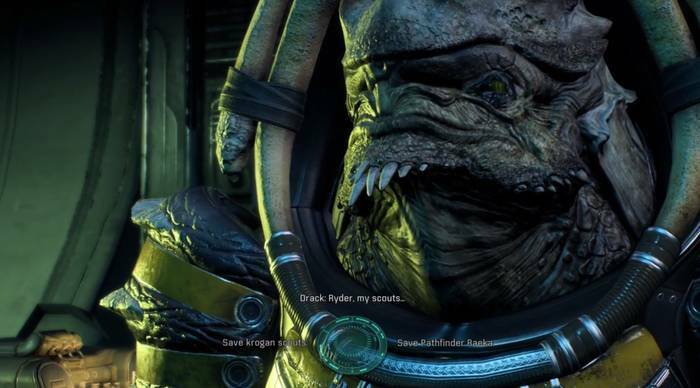 Text Save Krogan Scouts. Save Pathfinder Raeka. 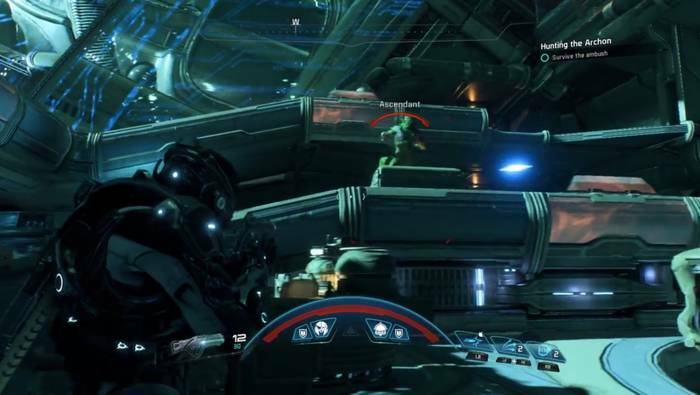 Outcome You will fight with a Krogan as you try to fend off a large Kett assault towards the hallway to save the Salarian captives. Raeka will die, making Captain Hayjer the new Salarian Pathfinder. Nexus Tann will not be happy about your decision as well. 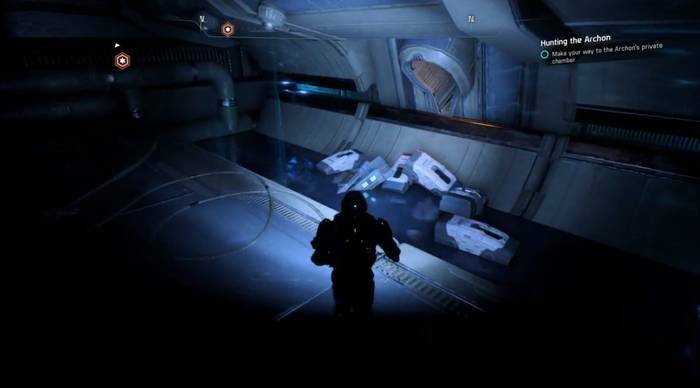 But keep in mind that you will have Krogan scouts to help you in the final of the last mission if you helped them here. You will fight with Rake to fend off a large Kett assault towards the hallway to save the Salarian captives. 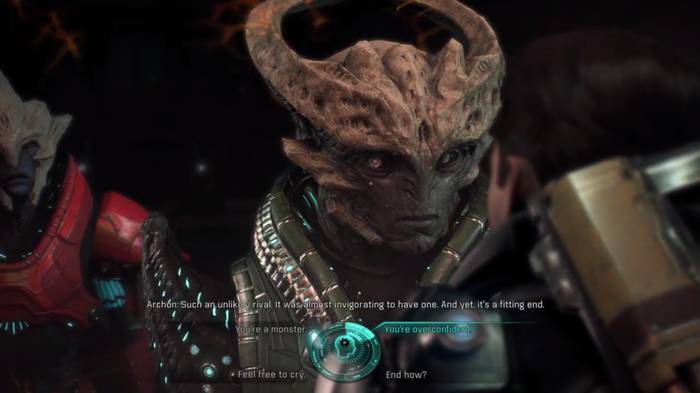 Drack will not be happy with your decision, as will Kesh. Whatever decision you choose, prepare to engage a large assault of Kett Chosen, Wraiths, Destined and Anointed as you approach the hallway to save the Salarian prisoners. As you arrive at the area where the captives are held, you’ll need to deal with more enemies as well as an Ascended. After you’ve cleared out the enemies, use the console to free the prisoners. The Tempest will soon arrive and pick you up to escape the Kett. 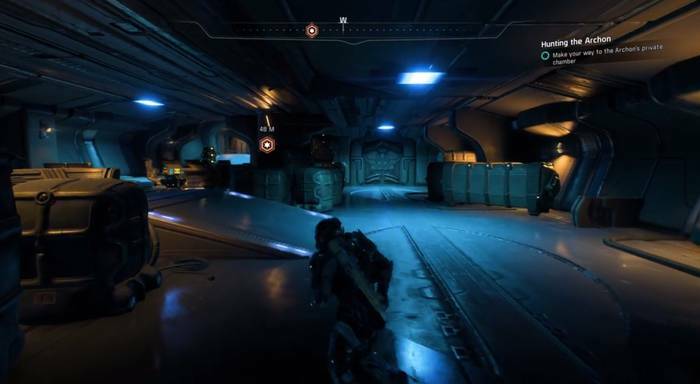 This concludes the walkthrough for the Main Mission Hunting the Archon for Mass Effect Andromeda.